The litany varies but goes something like: how could I have done that? why didn’t I see that? oh, they are right, I am so stupid, Oh, crud, I should quit, I’ll never be able to fix this, I AM STUPID. Wow. Not helpful. Typical, but not helpful. It is sheer terror that your success is in your imperfect hands. Stop undervaluing your work. Fear causes you to discount your work, to say the destructive, I AM STUPID words. But your work has great value, just as you as a writer have great value. When you allow fear to undermine that belief, then you paralyze your work. Value your mistakes, your first drafts. They are the guide to what you are thinking, who you are and where you are going next. They aren’t enemies to be demolished. You can only do your work, your way. When someone critiques, or the editor writes a letter, it is your vision–imperfectly captured–butting up against someone else’s vision. That’s all. You’ll have to sort it out and see what comments of theirs will stick. You asked for it and you got it: another person’s opinion on your work. The defensive attitude, that their opinion is STUPID, is unhelpful. It is simply, their attitude. Respect. You can respect another person’s opinion, even while disagreeing. You can disagree about aesthetics, or the ideals that you are measuring your story against. You disagree about the position of a comma, because we know–even if high school students don’t–that matters of punctuation are up for discussion. Their opinion is valid because it is their opinion. We can value it just for that. 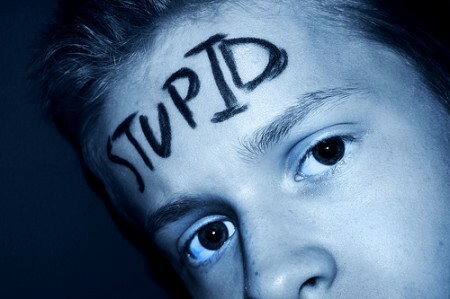 When we reject the extreme attitudes–I am stupid v. You are stupid–we are left with an attitude of openness. This does NOT mean you must do everything they suggest; nor does it mean you should stubbornly stick to your way. Work to understand the critique. I am usually so flabbergasted by a critique that I can’t fathom what planet they are from. Sometimes, it takes me a while to figure out their bent and to consider if that is also the right bent for this story. For example, do you find Lemony Snicket funny? I don’t. I can respect and admire the skill of the story, while still saying that I don’t enjoy it. IF you, as a critiquer, tell me that I should be more like Lemony Snicket, well, reader, that would be ironic. Ironic means that you say something opposite of what you mean. Pick and choose. If the examples a critiquer gives me are from works that I know I can’t emulate, then I must pick and choose from among their complaints about my story. Or, I must extrapolate. They want more humor; just because they want a certain kind of humor that I don’t like, doesn’t mean that they are wrong. Their example might be unhelpful, but the basic comment stands: I need more humor. I try to understand the complaint beneath the actual words and examples they use. I think slowly, not fast on my feet. Sometimes it takes me a long time to work out what I really believe. Take critiques or editorial letters slowly. Understand the concerns beneath the surface: one of those concerns is almost always the hope that you, as an author, will succeed. And who can be mad about that. I am not stupid, you are not stupid. We are just professionals working toward the best possible manuscript. Huzzah! These points were insightful, Darcy, and will alleviate my worries, and make me evaluate the person critiquing, before I lose heart and give up. Thanks so much! You hit the nail on the head again. Great post.